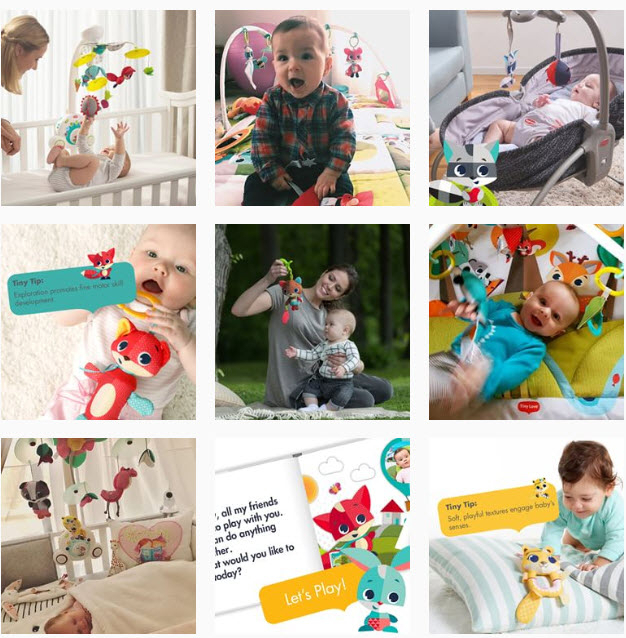 Create a digital story with your baby as the star! Start creating you storybook right now. Development has never looked so stylish! Created with love and care by our child development experts, this is a comprehensive set of guidelines for various baby development milestones and a tool for helping parents grow with their babies. Every Tiny Love® toy or product that we conceive is created with the 7 Developmental Wonders™ in mind. This is a comprehensive set of guidelines for various baby development milestones and a tool to help parents grow with their babies. Cognition is the mental process through which babies, children and grownups understand the world and acquire knowledge. In other words, this wonder is the corner stone of our capacity to learn, understand and remember. Language and other forms of communication enable us to share our ideas, thoughts and feelings. This fascinating aspect of baby’s development includes various stages and stepping stones that transform a babbling baby into a talking toddler. The skills related to the hand, palm and finger muscles as well as to the muscles surrounding the mouth and eyes. These muscles are in charge of the more delicate physical skills babies acquire. Through our five senses, we receive information from our surroundings and process it with our cognitive skills. Our senses literally open the world up before us, bridging between self and reality and helping expand the scope of our understanding. The skills related to the muscles of the arms, legs, feet and entire body. These muscles are responsible for the less delicate functions, like sitting, crawling, standing, walking and more. Imagination is our ability to mentally produce images, ideas, thoughts and even feelings that don’t actually exist. Creativity is the process of transforming imagination into reality and the ability that allows babies and grownups to improvise and invent. YOUR baby as the star! Tiny Love is a developmental expert that enjoys the support and guidance of prominent specialists in various fields. 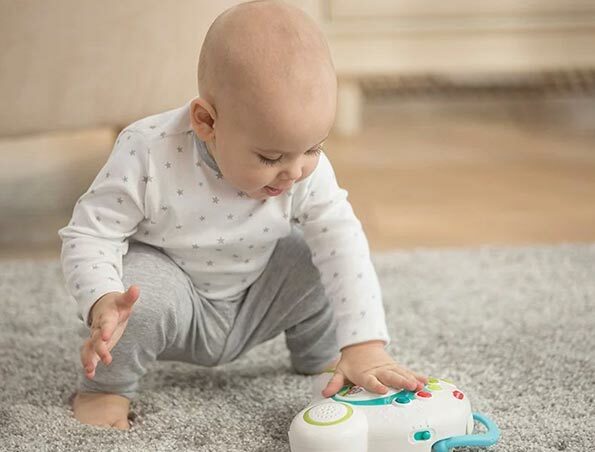 Find tummy time tips, musical playtime ideas and much more. Explore the information and tips offered by our baby development experts. Introducing the adorable Meadow Days™ collection! Click through to view all the products in our new collection, watch an enchanting animation video and get to know the Tiny Pioneers, our cute and wonder inspiring brand characters. Tiny Love’s newsletter offers users a wide selection of fun, useful pregnancy and parenting tools and tips created by our team of experts. Find answers to vital questions and enjoy our uniquely created printable downloads. Join here to get your first FREE download! Browse our comprehensive pregnancy guide to learn everything you need to know about pregnancy and birth. From common concerns to baby shower themes, this Tiny Love Pregnancy Guide is with you every step of the way! When parents’ and babies’ eyes meet something very special and emotional happens. 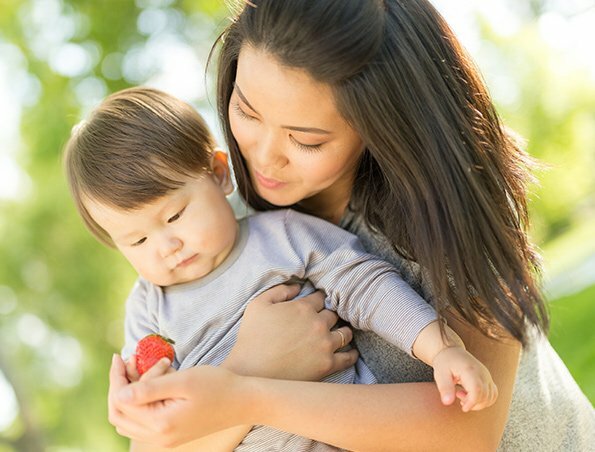 Read about eye gaze and eye contact in this insightful expert baby development article and learn what you can do to encourage eye contact with your baby. Playtime is not only a whole lot of fun for parents and babies, it is a time when baby learns, grows and develops through exploration, interaction and bonding. 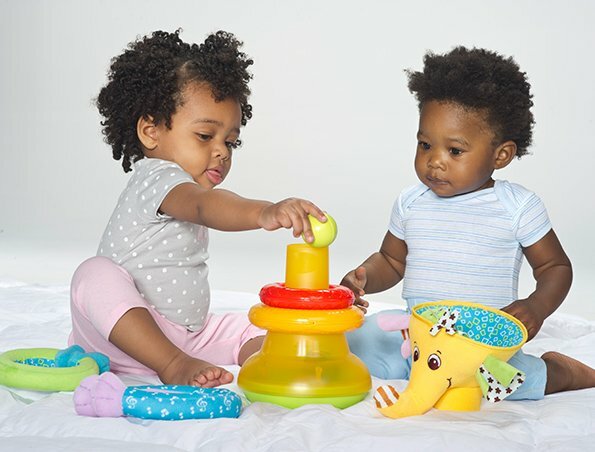 Read this article to learn how you can make playtime more meaningful and get tips on creative ways of playing with baby's toys.